He was at the County - Hamilton game. Good luck to him except when he plays us. I pd suggest he's more popular with us than he is with his new (old) club. Aye but you also told us that the Irvine deal was 100% dead in the water.. I was told like many who were in Hungary by Jim & Dodds themselves that the Jackson deal was dead so I would not doubt them if it came direct from them, would you? (08-13-2015, 05:24 PM)CulbokieCounty Wrote: I was told like many who were in Hungary by Jim & Dodds themselves that the Jackson deal was dead so I would not doubt them if it came direct from them, would you? I can confirm that we were told directly in Hungary that the deal was dead. I wonder what changed between then and the point at which he actually signed? Lots of great memories of Vigurs for me, but one I remember most was an outrageous outside-of-the-left-foot-sliced-volley-pass which Carey brought under control and crossed for someone to drive into the net. May have got the Vigurs and Carey bits mixed up, but it's a happy memory anyway. Good luck to Vigurs. Just don't score against us! (08-14-2015, 09:07 PM)Wicky Wrote: Lots of great memories of Vigurs for me, but one I remember most was an outrageous outside-of-the-left-foot-sliced-volley-pass which Carey brought under control and crossed for someone to drive into the net. May have got the Vigurs and Carey bits mixed up, but it's a happy memory anyway. Vigurs joined Motherwell in June 2013 whilst Carey signed for us late July. Can't mind the goal you're talking about, but it sounds lovely. (08-14-2015, 11:22 PM)IDW16 Wrote: They never played together. Of course. I am now going for Oiko in the Carey role. If that is the behaviour from the parents. What can we expect from thier children? Was that photo from the Beachballs are burst game? If that is the case, then I guess these CALEY fans are part-timers. 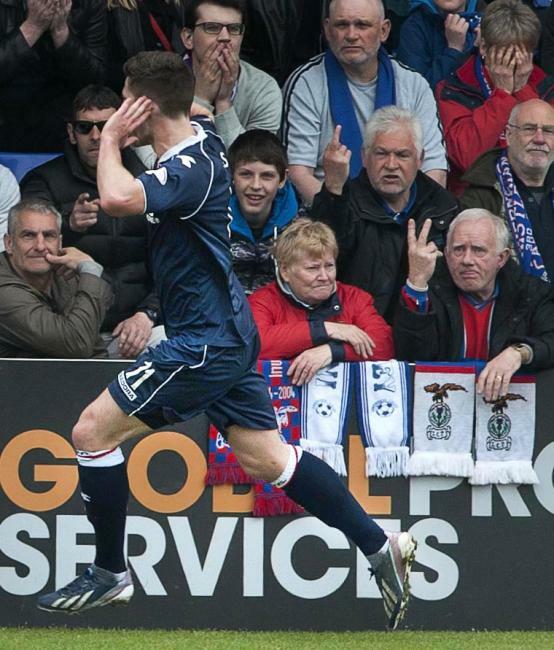 I am certain that behaviour never existed with Inverness Thistle supporters. Thanks for the link to the CALEY site. Some rather odd, confused, deluded comments on there.